April is fast approaching and it is my favourite month. And already things are livening up in the garden. Today I was noticing yellow – gorse, dandelions, lesser celendine, even a buff-tailed queen bee and of course the daffodils which are looking at their best now. But the purple sprouting broccoli looks pretty cool too and tastes even better. And some of you may be able to hep me name this pink flower. My sister gave me a present of one and after it had flowered last year, I noticed some seeds. I gathered them and grew them on. I had quite a lot germinate and have planted some among the mini daffodils – the colour contrast looks great (sorry no photo of that). But here is a photo of one growing in a pot in the polytunnel. 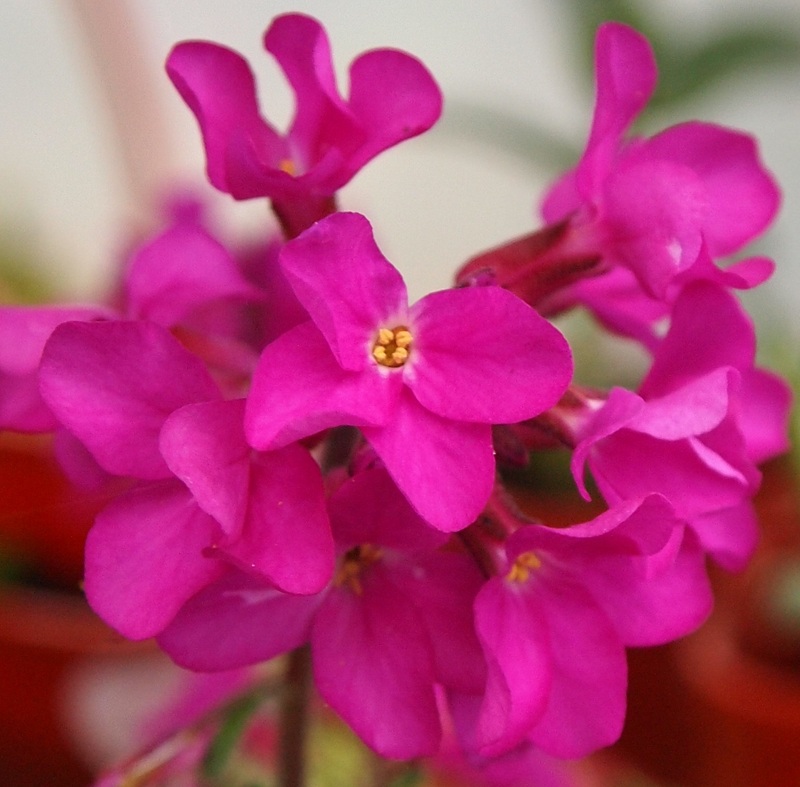 The flowers stands on a single stalk which comes from a rosette of leaves. This entry was posted in Garden, Nature and tagged flowers, garden, nature, wildflower on March 26, 2015 by Murtagh's Meadow. I know I only posted yesterday, but had to post a photograph of the partial solar eclipse we had this morning. 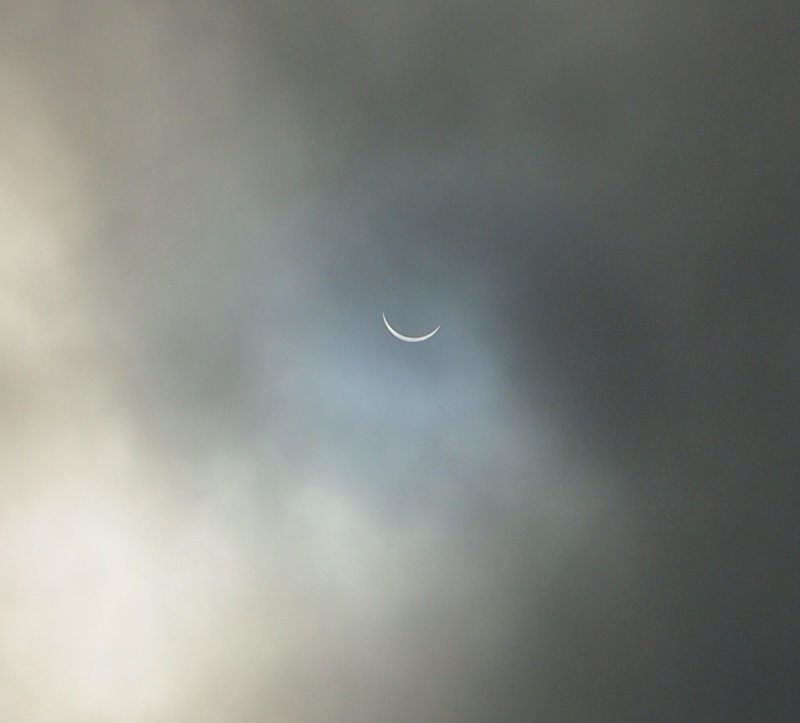 Being in the west of Ireland we got to about 95% of the sun being covered by the moon, and despite grey conditions, got some great views. This entry was posted in Nature and tagged eclipse, Partial solar eclipse, Solar eclipse on March 20, 2015 by Murtagh's Meadow. I was so excited today to see my first bee of the year. It was a Bombus lucorum queen, otherwise know as the White-tailed bumblebee. 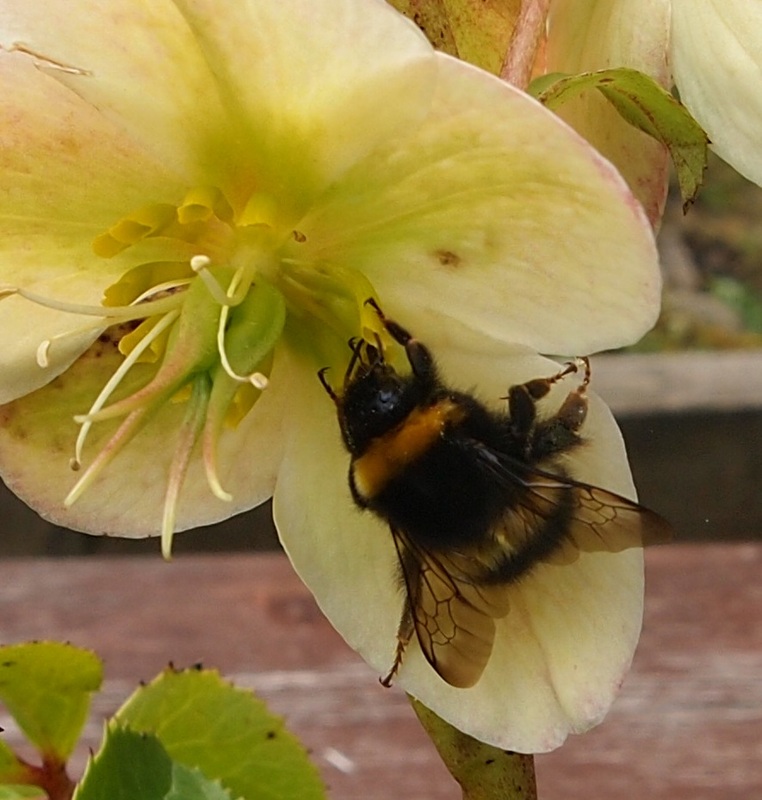 It was feeding on a hellebore I have sitting in a pot on the picnic table on the patio. With the weather warming up, and some nice sunshine, I’d been on the look out for the last few days. But until today I had only seen more of the droneflies I mentioned in a previous post (https://murtaghsmeadow.wordpress.com/2015/03/12/first-wild-pollinators-and-brassicas-of-the-season/). 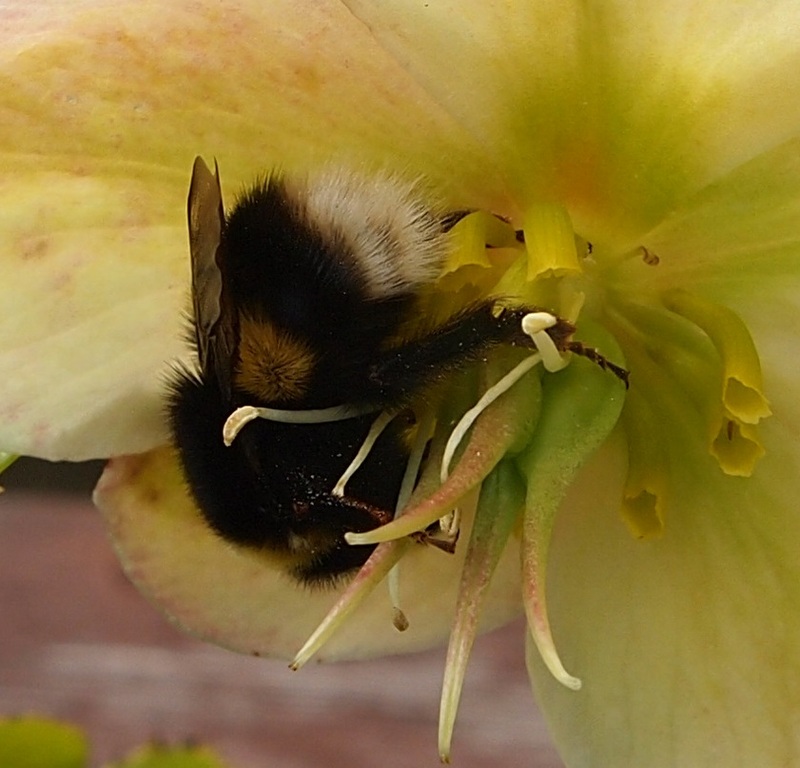 Last year, the first bee was spotted on the 15th March, so just a few days earlier. 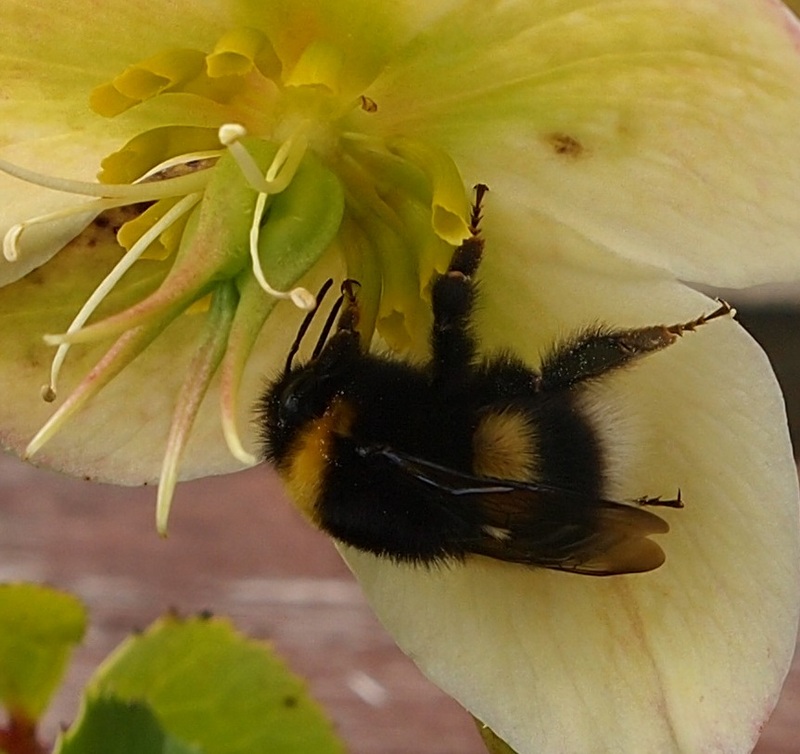 It was a Buff-tailed (Bombus terresreis) queen, a very similar species (https://murtaghsmeadow.wordpress.com/2014/03/15/buff-tailed-bumblebees/). In fact, it is so similar that it is not possible to tell the workers of both species apart. The sight of the bees – saw another later in the day, inspired me to get a bit more work done on the new flower bed. Bees need a continuous supply of nectar and pollen and us gardeners can do a lot to help them. Wild flower meadows are declining world wide so we need to help the bees out. In return, they provide us a vital service pollinating much of our fruit and vegetable crops from apples to the cocoa bean! 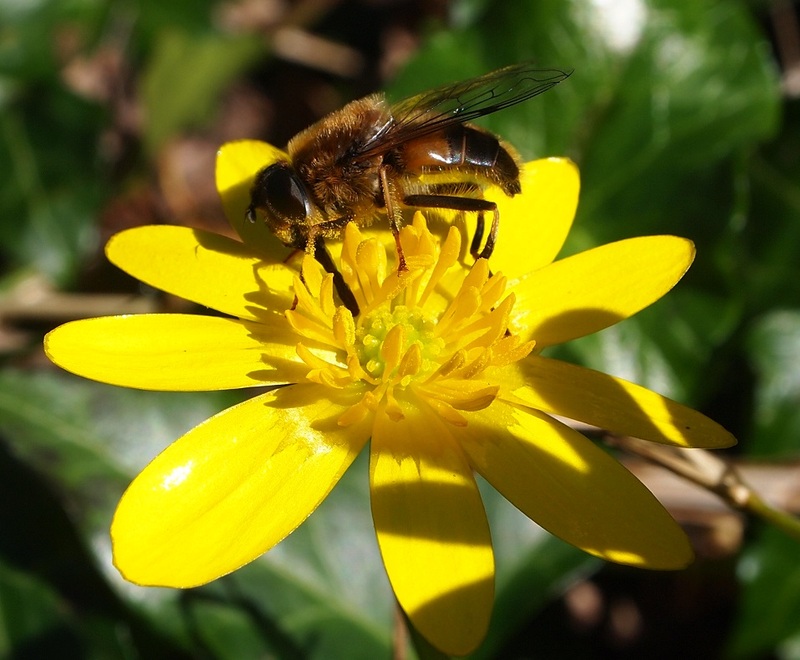 This entry was posted in Garden, Nature and tagged bees, nature, wild pollinators on March 19, 2015 by Murtagh's Meadow. Happy St Patrick’s day! We’ve had a lovely sunny and dry day which has been great for the kids taking part in the local parade. And this morning we got a little bit of time to do some gardening too. 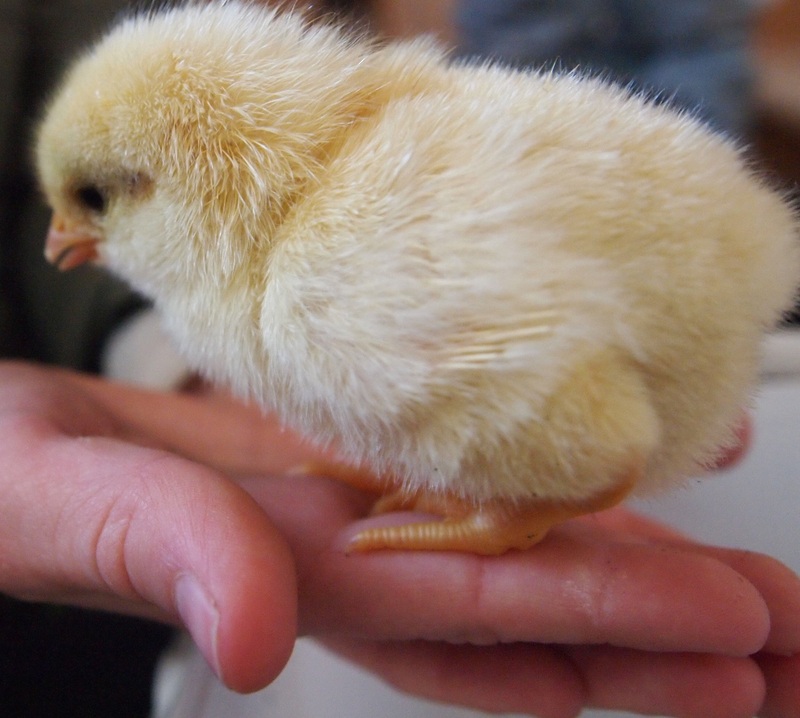 But our most exciting event this week has been the hatching of six little chicks from the chicken eggs in the incubator. The little black one below, was first to emerge, having hatched first thing Sunday morning. 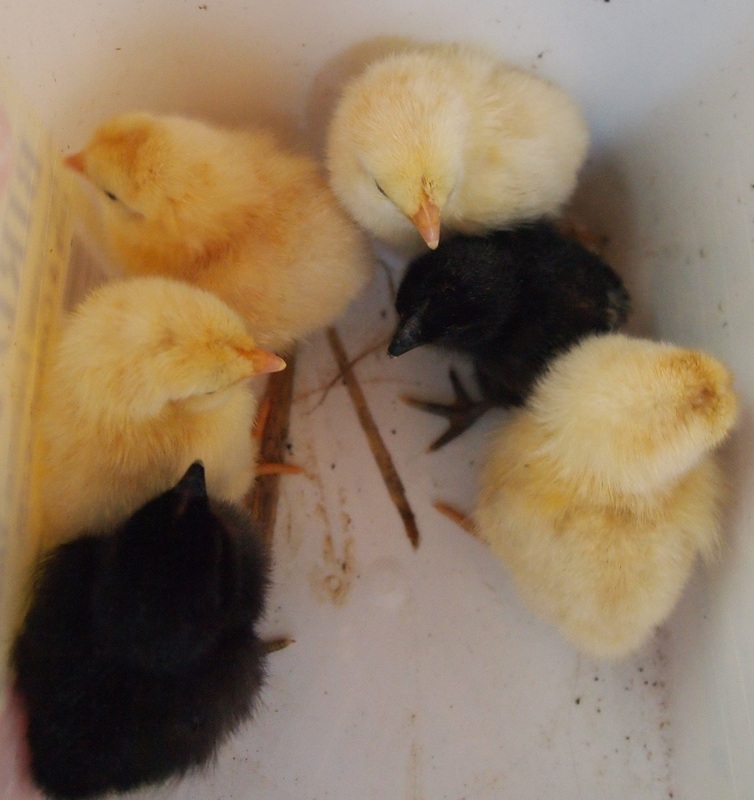 For the rest of the afternoon the kids watched the four little yellow ones hatch. It was great to see their excitement and a great education. Our seven year old, in particular, was asking lots of questions. We’d borrowed the incubator and hope to try some duck eggs next. 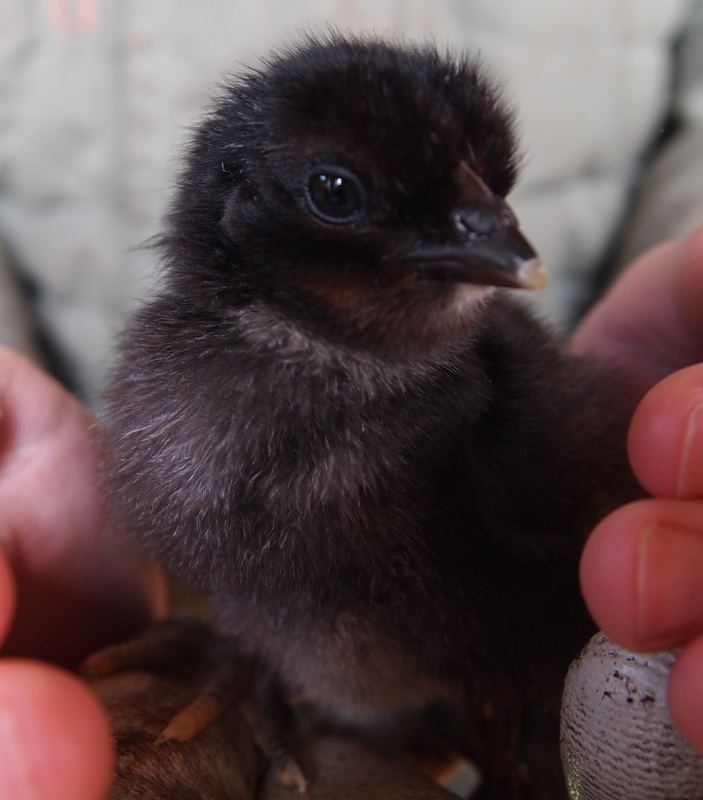 Today the chicks were moved out of the incubator into a homemade brood box consisting of a cardboard box and infra-red lamp to keep them warm. This entry was posted in poultry and tagged chickens, incubator, poultry, Saint Patrick's Day on March 17, 2015 by Murtagh's Meadow. Today Murtagh’s Meadow celebrates it’s first birthday. I would like to take the opportunity to thank all of you for reading the blog. When I started blogging I didn’t really know what I was doing, and I have learned a lot in the last year. One of the best things about blogging though is making new blogging friends and reading about your journeys and experiences. So a huge thank you to you all. In that first blog, I wrote about our two ducks. So in honor of today I thought I’d return to them. They get to spend the winter in the vegetable plot. While they may consume a good few worms they also do the service of ridding the garden of many of its slugs and snails. I find at the beginning of the growing season I have no problem growing tender leaved vegetables such as lettuce, but by mid-summer, particularity if it’s been a wet year, I have to abandon the idea. The ducks (Nelson and Jemima) are both getting on in years. So we’ve borrowed an incubator in the hope of hatching some eggs. In the next couple of weeks, the ducks will return to live in the field with the chickens from where they will also have access to their pond – so they’ll be delighted as they are currently using an old baby bath for bathing! This entry was posted in Garden and tagged ducks, garden, Happy Birthday on March 13, 2015 by Murtagh's Meadow. I’ve even seen my first pollinator of the season – not a bee but a dronefly, a type of hoverfly. It was feeding on the willows which are thick with pollen at the moment. I’ve included a photo from last year as this week’s dronefly was too high up the bush to get a decent picture. Like bees, hoverflies are very important pollinators. 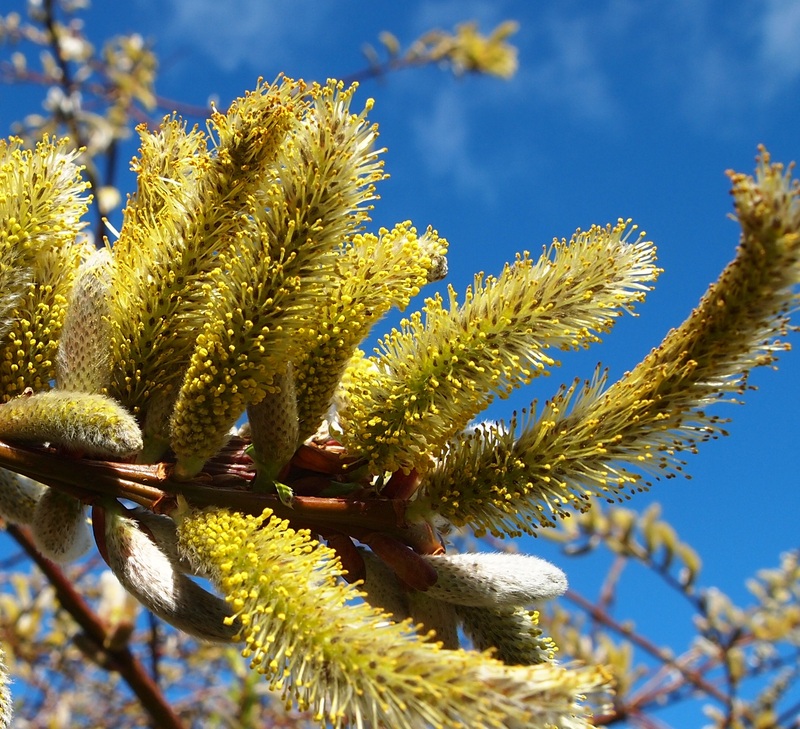 Willow is one of the best plants to provide pollen early in the season. Pollen is a vital source of protein for many of our pollinators. Despite some nice spring sunshine, we’re getting some very wet weather too. The soil is sodden, which is preventing me getting into the garden, but I’ve been trying to do a bit in the greenhouse and polytunnel. 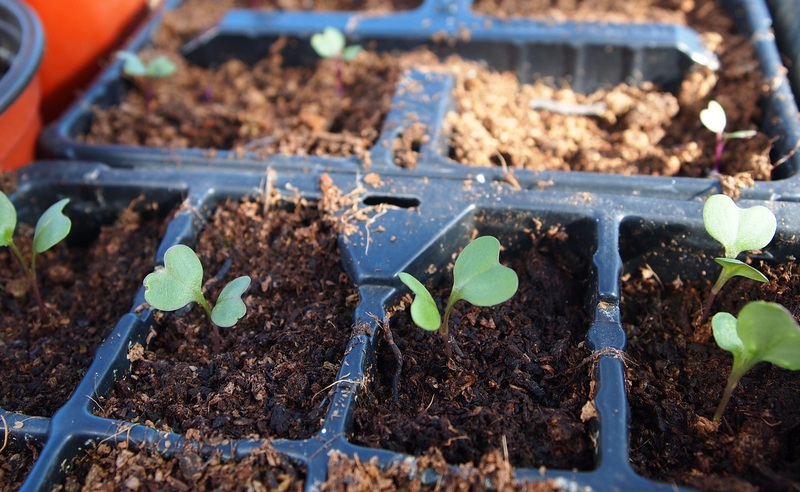 The first seeds and potatoes are planted and some are germinating, which is always exciting. This is my first spring with the greenhouse and I’m amazed how warm it can get in there during the day, though obviously at night it still cools significantly. 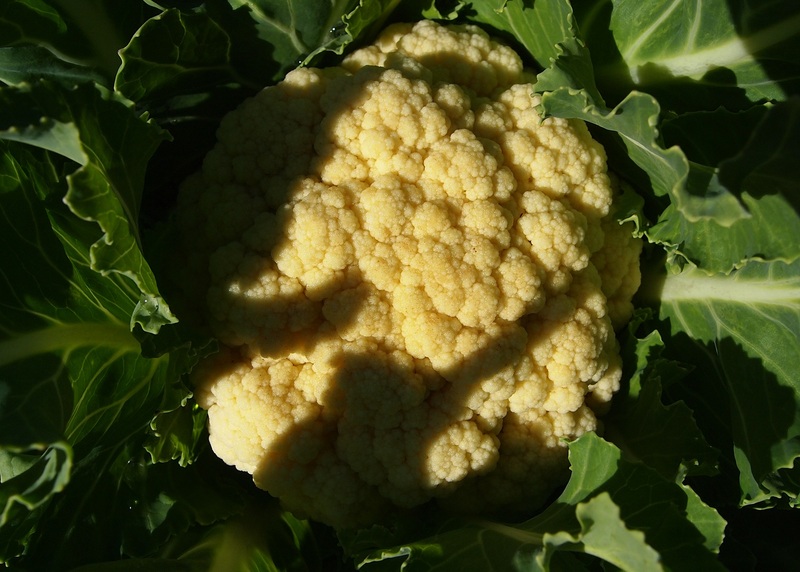 We’re enjoying some fresh cauliflower too. I was dubious that the plants would come through the winter but they have and though the cauliflowers are small, they are tasty. 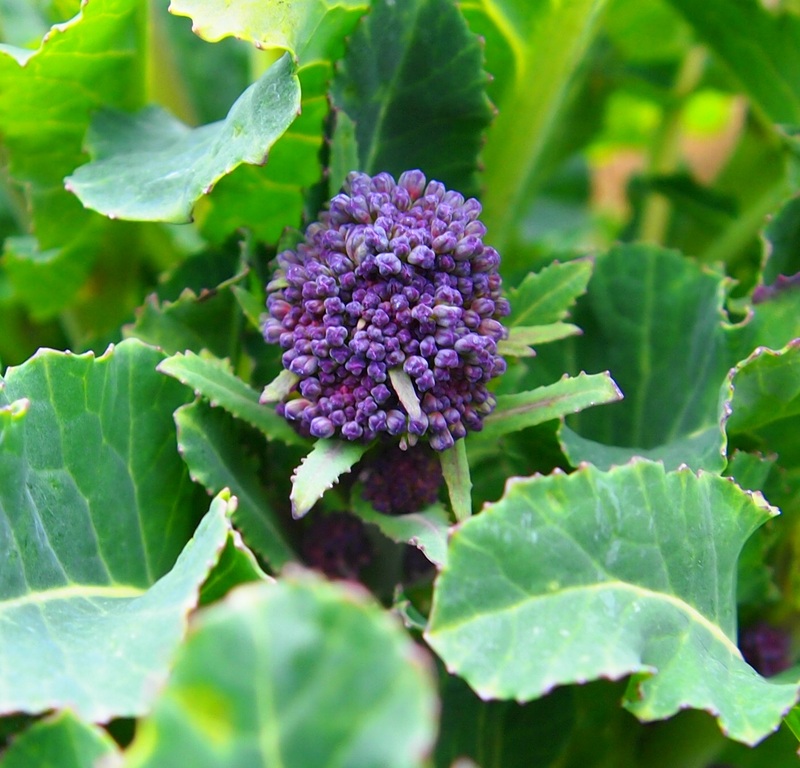 The first of the purple sprouting broccoli and the perennial nine-star broccoli has also been harvested. You just can’t beat fresh vegetables from the garden! This entry was posted in Garden, Nature and tagged garden, greenhouse, nature, vegetables, wild pollinators on March 12, 2015 by Murtagh's Meadow. A couple of weeks ago we went for a walk at Moorehall. Today the area is owned by Coillte and managed as a woodland. It is a lovely place to go for a walk. The house was built by George Moore and was completed in 1796. It was burnt down in 1923 during the Irish Civil War. There are a couple of websites which give some great background to the history of the house (http://www.oreillydesign.com/moorehall/index.html and http://www.enjoy-irish-culture.com/big-houses-moore-hall.html). As well as the Hall there was a farmyard and stables. You can still walk through the tunnel that was built to provide a throughway from the farmyard to the coach house and racing stables without causing disturbance to the back lawn! Then there is a huge walled garden, or at least the remains of it. It must have been an impressive sight in its time. The following website (http://www.oreillydesign.com/moorehall/housmain.html) has a fascinating diagram of what the garden would have looked like when fully functioning and it included four walnut trees, a glasshouse, fruit trees, vegetables and flowers. The trees included peach trees – not a normal crop for the west of Ireland! The original house probably had views of Lough Carra but trees have now been planted right around the ruin. Some of the older trees are still in evidence though. It was a cold day in February when we walked around, but we hope to return later in the spring or early summer when more of the woodland flora will be in evidence. This entry was posted in Mayo Walks, Nature and tagged Coillte, Moorehall, nature, woods on March 5, 2015 by Murtagh's Meadow.